Christmas Markets in Salzburg, Austria | Great ideas here! Can You Guess? Which European city is one of the best Christmas destinations in the world? In 2010, CNN GO ranked this city among the world’s top 10 Christmas destinations and NEWSMAX classed it among the top five places to spend yuletide. Last year, Sympatico.ca Travel included the city among its top five places for a traditional Christmas experience and over the years, Travel + Leisure magazine has, at least three times, recommended visiting this city during the festive season. Can you guess which city we’re talking about? While London, Vienna, Munich and Prague are all wonderful places to visit this time of year, the particular city we have in mind is Salzburg located in Salzburger Land! And for those who enjoy walking, this Austrian city is especially pleasing to explore on foot during the Christmas season. You can stroll around Altstadt (Salzburg’s Old Town, named a UNESCO World Heritage Site) decorated with gorgeous ornaments and lights, discover the various nativity scenes around the city, walk among the surrounding hills for stunning snow-clad views of the town and then take a rest while enjoying one of Salzburg’s many Christmas concerts (or at the “Silent Night” museum in nearby Oberndorf). But perhaps what is most special about Salzburg’s Advent season are the numerous Christmas markets that set up all around the city. The oldest, dating back to the 15th century, and probably the most frequented, is the Salzburger Christkindlmarkt (Salzburg Christmas Market) located in the Domplatz (Cathedral Square). Upon arrival, you’ll instantly notice the pleasing smells of mulled wine and roasting chestnuts, hear the music from a live choir or brass band and see almost 100 vendors set up in traditional wooden stands against a backdrop of beautiful yuletide décor. 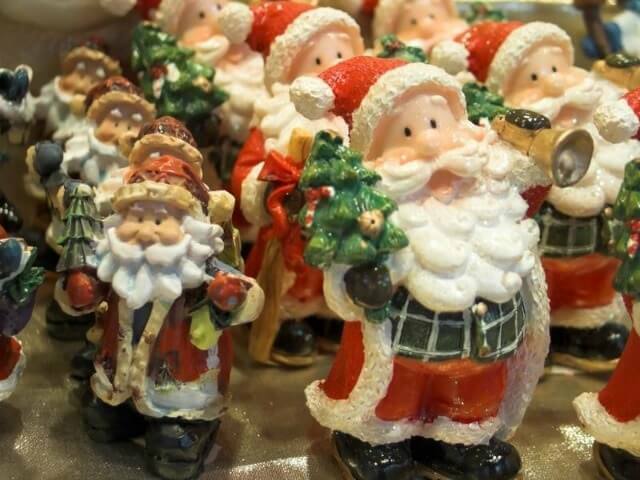 Whether you are looking for some Christmas gifts for your loved ones (such as toys, jewellery, clothing and handcrafted items), some seasonal décor (such as wreaths and incense) or traditionally delicious treats (such as chocolates, pretzels and “lebkuchen” aka gingerbread), this market will meet your needs. Salzburg boast numerous other Christmas bazaars, including ones at Hellbrun Palace, Waldif Anif park, with artistic installations surrounding its lake, and Mirabell Palace, to just name a few. (Christmas market season kicks into gear at least four weeks before the 24th of December. For a completely unique Christmas experience that will make you feel that same magic you felt as a child, visit Salzburg and discover its wonderful music, ambience, décor and enchanting open air markets.